Victoria Day has come and gone. This means – the start of summer and planting season in the North-East part of North America. The garden centers are packed with people buying more stuff than they actually need for their gardens. I was on the lookout for Raspberry bushes. Mine got destroyed when a neighbor replaced the fence in the back last fall. The raspberry bushes on sale looked rather weak and pathetic – they retailed for about 25 bucks per bush. This is a bit dear and over the top in my opinion. The funny thing about plants and seeds and nature in general is that it has a way of regenerating itself. I had stuck a few twigs of my ruined raspberry bushes in the ground late last fall and after coming home from the garden center empty handed I checked out the twigs. They were starting to sprout. Sure – I might not have raspberries from these bushes this year but I can buy many raspberries for the price of that one bush for the one year. The raspberries will be fine next year. My philosophy of gardening is that I do this to have fun and watch things grow. I am not doing this to stave off starvation. Three out of the five twigs that I stuck in the ground are growing – so it seems. The bushes are coming along fine. I am content. At a construction site this should not happen. The freshly poured concrete must have a barrier to prevent people from leaving their mark. 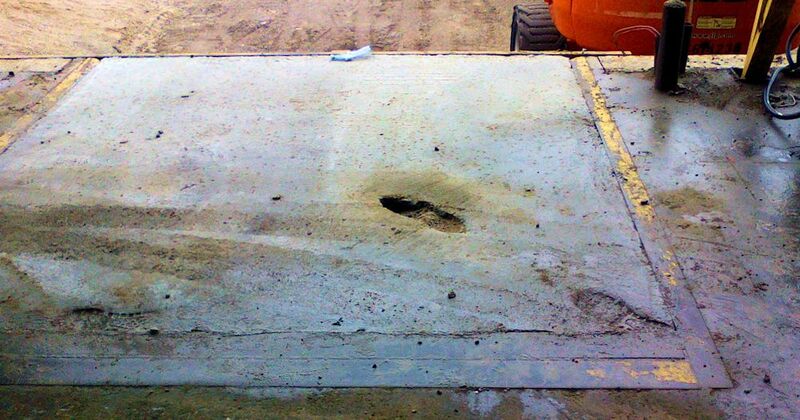 Footprints in concrete happen quite frequently and must be repaired at considerable toil and expense. The first taste is like whoa! It ain’t right. You are expecting something different. Something worse. 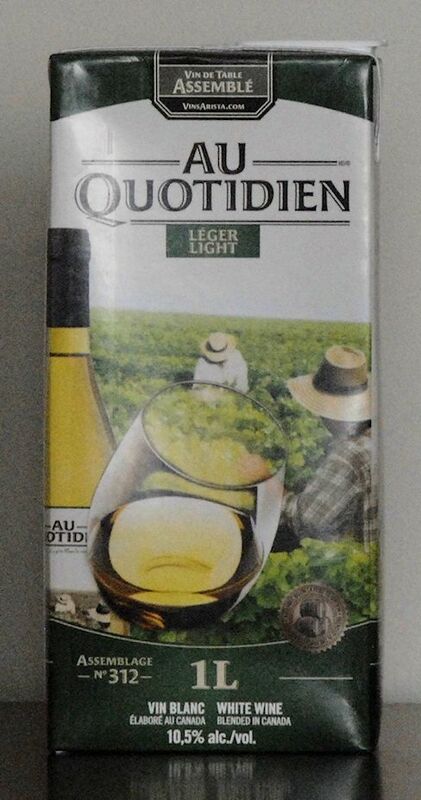 But here it is – French wine that is exactly ten bucks Canadian and the label looks like it cots way more. And it tastes real nice. It looks good in a glass – in a crystal wine glass or in the kids glass that I use that has a picture of a lion on it. The colour is a nice maroon deep red. The flavour is bold with berries and a bit of spice that is hard to pin down. That little bit of spice that makes living so nice. It is a fine wine – in fact one of the better ones that I’ve had in these reviews. It is a 2013 vintage so that actually makes it fairly well aged for the wines in this lowdown category. Wines under ten bucks tend to be a year old. This one has nearly four years behind it. Is it a lost wine from the mythical French wine lake that is being sold of cheaply in the new world? If so they can get more than a simple sawbuck for this wine. Get this wine before it is gone. I was walking on a street a day or two ago. I did not have my phone – with a camera. I saw a fancy car. It was an X-Type. Perhaps 10 or even 15-year old. But it still looked elegant. Except for the packing tape on the roof, plugging the leaky sunroof. Shades of duct tape on old convertible British sportscars. This … was a travesty – packing tape sealing an elegant Jag. In a renovation job, you never know what you will find when the walls come down. This is what supplied electricity to a refrigirator for many years.